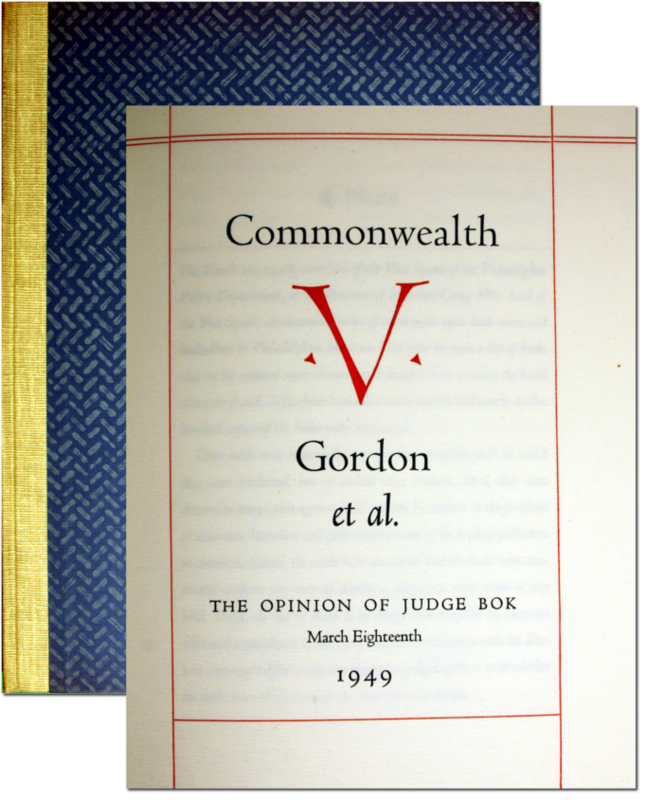 A fine example from the Law Library's extensive collection of limited press books. This is one of 500 copies beautifully printed at the Grabhorn Press for Blanche and Alfred Knopf. A Christmas gift card from the Knopfs is laid in. 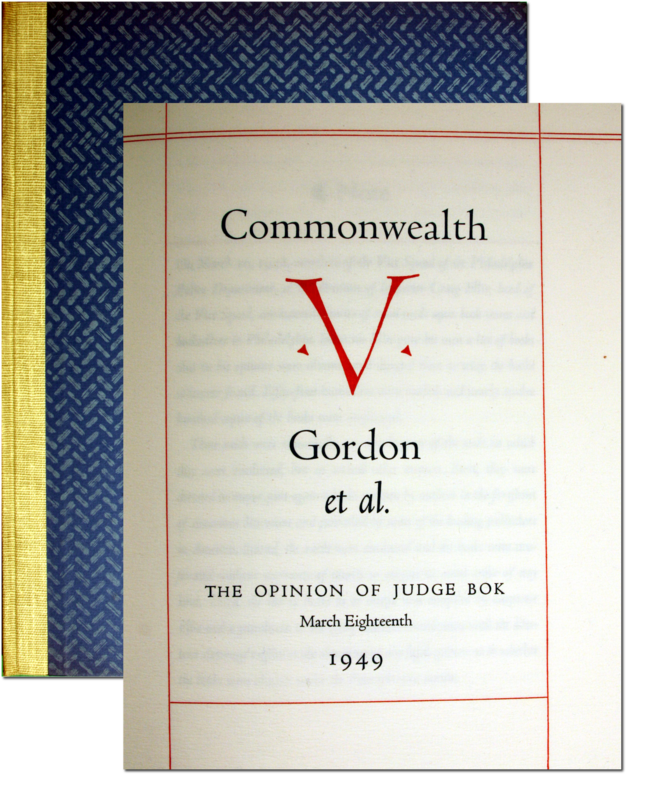 The book includes the legal opinion on a raid by the Philadelphia Vice Squad in 1948. The raid was conducted without a search warrant on 54 booksellers. Some 1200 books deemed by the vice squad to be obscene were seized. Many of those seized were at the forefront of American literature. Criminal proceedings were brought against five booksellers who were charged with selling six "obscene" books, including titles written by William Faulkner and Erskine Caldwell. After a careful reading of the texts, Judge Bok held that "the books before me are not sexually impure and pornographic and are therefore not obscene, lewd, lascivious, filthy, indecent, or disgusting." He determined that obscenity is an indeterminate term, "that it is not constitutionally indictable unless it takes the form of sexual impurity, i,e., 'dirt for dirt's sake' and can be traced to actual criminal behavior, either actual or demonstrably imminent." New York: Grabhorn Press, 1949.